Take a step back into the past when you visit old picaresque traditional villages, home to kind and welcoming people. These ancient communities are some of the earliest human settlements on earth. You will visit Abyaneh, Sepidan, Bavanat, and Meymand, a UNESCO World Heritage Site that shows how man has adapted his natural surroundings to provide shelter in a harsh environment. You will spend a half-day touring the National Archaeological Museum, the Glass Museum and the Carpet Museum. In the afternoon, you will then fly to Kerman, a city with a long history that was once the capital of Iran. Overnight stay in Kerman. Today you will have a full day visiting the Arg-e-Rayen, an ancient adobe citadel in Rayen, with stops at the shrine and pilgrimage site dedicated to Shah Nematollah-e Vali and the Shazdeh Garden at Mahan. A UNESCO World Heritage Site, Shazdeh Garden has a beautiful palace with a series of descending terraced pools as its centerpiece. Overnight in Kerman. Spend the day exploring this fascinating ancient village. A recent addition to the UNESCO World Heritage list, Meymand is believed to be 10,000 years old. Three hundred and fifty hand dug cave houses dot the rocky hillsides and many of them have been continuously inhabited for over 3,000 years old. Overnight stay in Maymand. Leaving Meymand, you will drive to the village of Bavanat, nestled in a Zagros Mountain valley. Here you will visit the Khamseh nomads and spend time in nature enjoying the beautiful lush landscape. (Visiting nomads is only possible from April to October.) Overnight in Bavanat. After breakfast in the nomads’ camp, you will enjoy a walk through the mountains to see springs and a walnut forest. You will have a homestay in a traditional home in Bazm Village. Overnight Bavanat . As you drive to Shiraz, you will stop at some of the most important sites of the ancient Persian Empire. Discover the ruined palaces of Takht-e Jamshid (Persepolis), the amazing and imposing tombs of Naghsh-e-Rustam and the remnants of Pasargadae, the ancient capital founded by Cyrus the Great. Overnight in Shiraz. After breakfast, you will spend a full day touring the one of the oldest cities of ancient Persia. Shiraz has many historic and cultural sites and you will visit the Arg of Karim Khan, Pars Museum, Vakil Bath, Vakil Mosque, the Moshir Caravanserai and the Vakil Bazaar, the oldest Bazaar in Shiraz. Then continue your tour by seeing the Jahan Nama Garden, Quran Gate and the Ali ebne Hamze Shrine, where the tiny glittering mirrors covering the entire interior will leave you breathless. You will also go to the tombs of Hafez and Saadi. It is a moving experience to be in these beautiful gardens, joining other visitors in reading poems over the graves of two of Iran’s most famous poets. Overnight stay in Shiraz. Leaving Shiraz, you will drive to Sepidan, located in the heart of the Zagros Mountains and spend some time with local people, seeing their daily life and traditions. Have a delicious dinner outside prepared by a local cook and sleep overnight in this beautiful village. Overnight in Sepidan. Driving through the Zagros Mountains, you will pass through many small towns on your way from Sepidan to Isfahan. Once you check into your hotel, you will have the opportunity to relax and explore this glorious city. Overnight in Isfahan. Once called “Half of the World,” Isfahan is full of delightful sights. You will spend a full day seeing the elaborately painted Armenian Vank Cathedral, the famous Sio-se-Pol and Khaju Bridges, and the stunning UNESCO World Heritage Site Chehel Sotoun Palace and Garden. Later you will visit Naghsh-e Jahan Square to see the grand Jame Mosque, another UNESCO World Heritage Site and the Qeysarie Bazaar. Overnight in Isfahan. 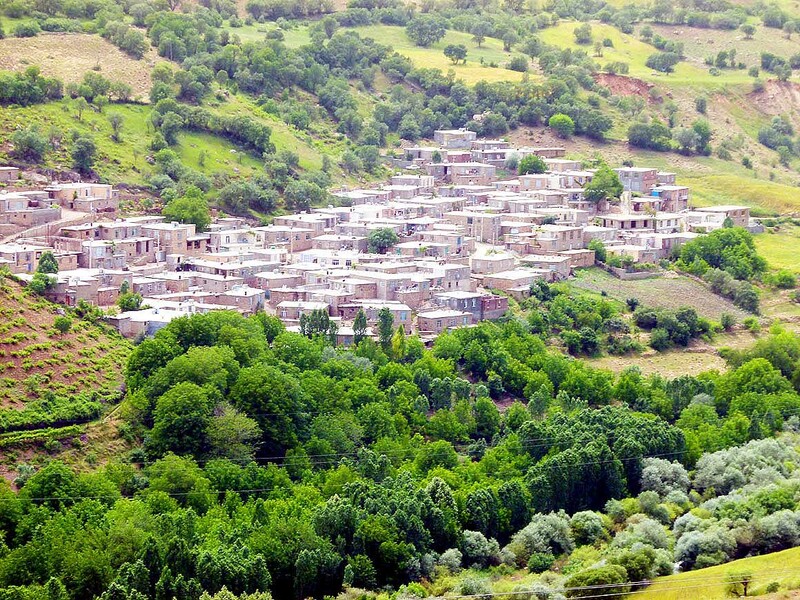 Not far from Isfahan is one of the oldest traditional villages in Iran, Abyaneh. It is a fascinating place, with ochre- colored houses, lattice windows, and fragile wooden balconies. The village is built on the side of Karkas Mountain and its twisting lanes offer many splendid views. Overnight in Abyaneh. Today you will leave Abyaneh for Kashan and its amazing attractions such as the Borujerdi and Tabatabei Houses, gorgeous 18th and 19th century traditional homes built by wealthy merchants. You will also visit the ancient archeological site Tepe Sialk and the Fin Garden, an UNESCO World Heritage Site. Built in the 16th century, the beautiful and serene Fin Garden is the oldest living garden in Iran. After spending some hours continue our way to Imam Khomeini International Airport in Tehran for your flight home. National Archeological Museum .The Glass Museum and the Carpet Museum.